Email or Call to reserve a room. (For 2019 availability, see the table below) . Note: During the nine week season, the Chautauqua Institution requires a gate pass for admission to the Institution. 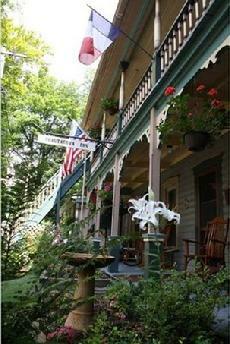 The price of a room at the Chautauqua Inn does not include a gate pass. See Chautauqua Ticket Prices for more information on ticket prices. if you have questions or wish to reserve a room. Weekly reservations can be made 51 weeks in advance. To see pictures of any room, click on the room number in the chart below. After viewing the pictures, close the window containing the pictures. In the chart below, if the room is available for a given week, the week number appears in line with the room number. Reservations can be made 51 weeks in advance. but fulfillment cannot be guaranteed until 51 weeks in advance. Reservations require a $100 deposit per week per room. An additional deposit of $100 per week per room is required by January 1. For reservations made after December 1, these two $100 deposits are combined into one $200 deposit. Final payment is due May 1. For reservations made after March 31, full payment is due upon making the reservation. Cancellations before January 1 receive a $50 refund (from the $100 deposit). Cancellations in January and February lose the original $100 deposit (but are refunded the additional $100 deposit). Cancellations March and April lose the $200 deposit. Cancellations beginning May 1 receive no refund.